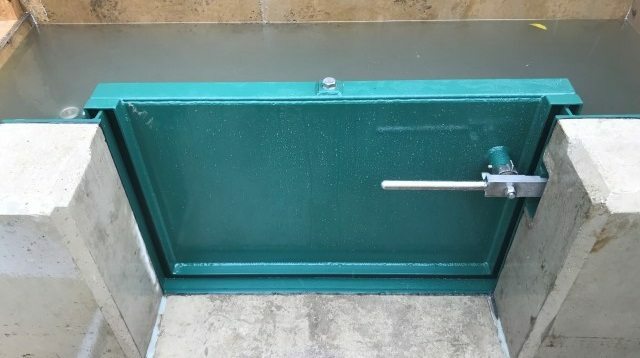 MMEngineering were commissioned by a new customer to design a fire flood door. The product was needed for a unique problem. The customer site is a waste depot containing a high number of hazardous materials. The building was fitted with a powerful fire sprinkler system that would automatically trigger in the event of a fire. However if the system was triggered the water released would combine with the hazardous waste stored within the building. This create a high risk of an environmental incident. 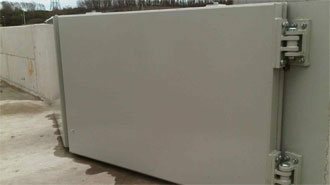 The customer wanted to prevent the chance of contaminated water entering the water course. 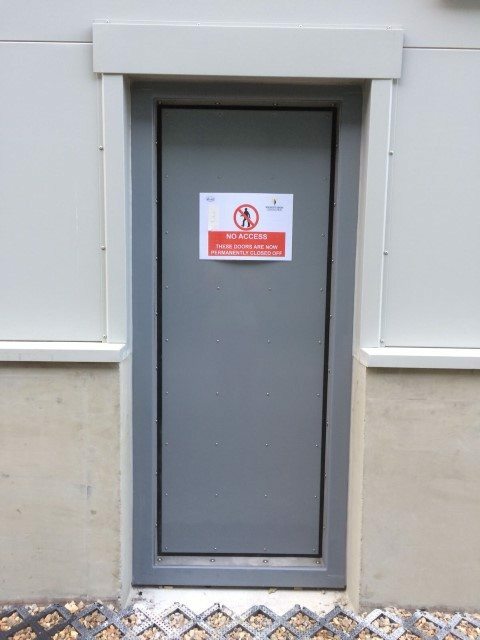 The client therefore required a fire flood door that would prevent contaminated water from exiting the building and also be fire resistant for up to two hours. 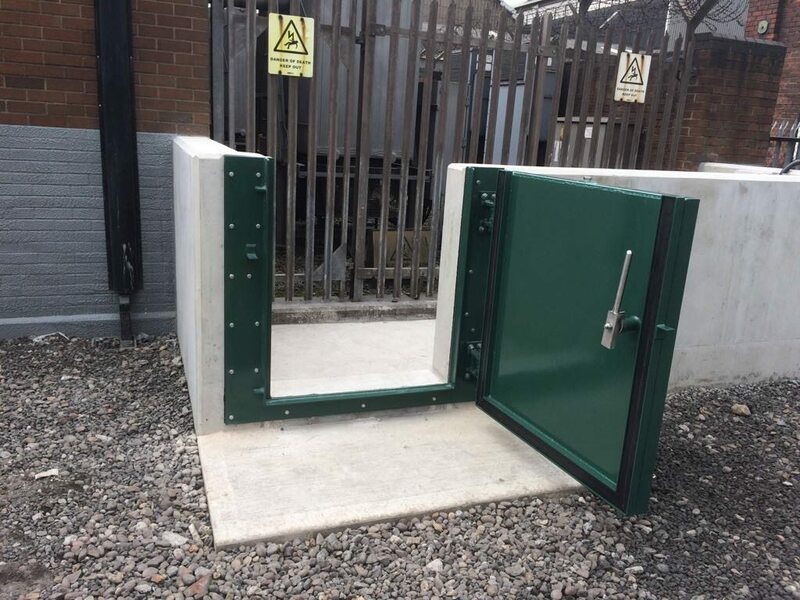 MME underwent an extensive design process, combining established technologies in flood door defence and fire protection as per BS EN 1634-1:2014. 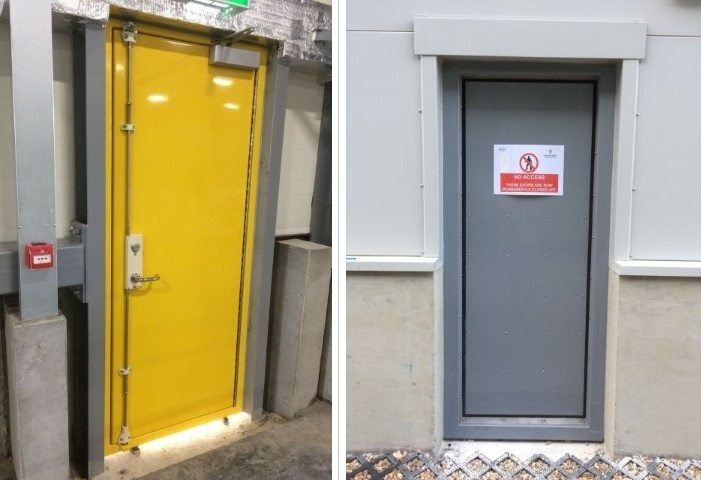 Utilising the expertise of a chartered structural engineer, we developed a new type of fire and flood door to meet the client’s requirements. 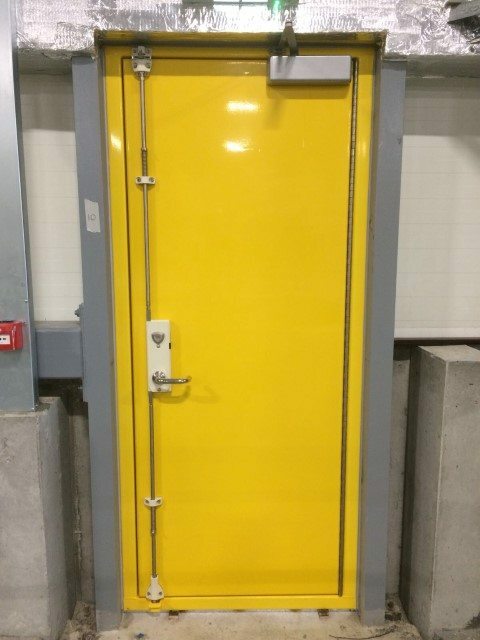 A total of eight fire flood doors were manufactured and installed by MME engineers. 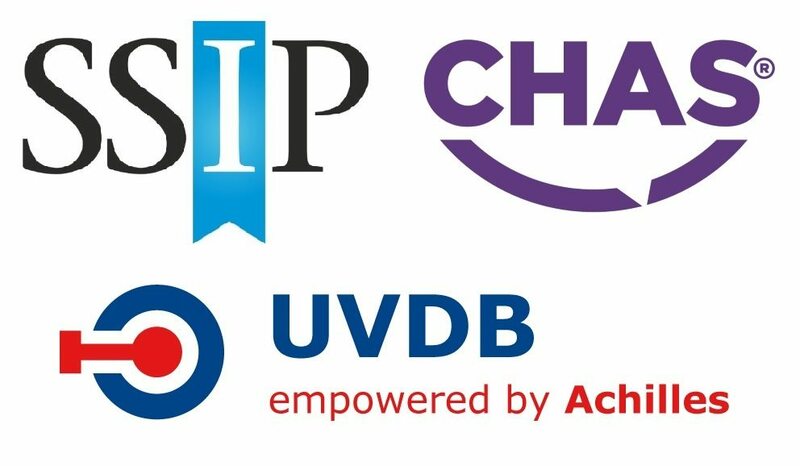 The project was completed in September 2017.